Plumber Dun Laoghaire provide a high quality plumbing service in Dun Laoghaire and throughout the south side of county Dublin. Our team are available 24 hours a day, 365 days a year. 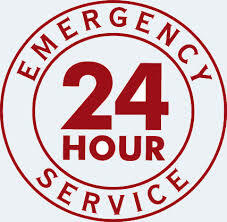 If you have one of those unannounced plumbing problems, just call us anytime day or night. We always answer the phone. You will get through to a senior member of our staff who will assist where possible over the phone. If required one of our team of Dun laoghaire plumbers can be at your door within the hour, we guarantee that. Plumber Dun Laoghaire, all work guaranteed. Our team have built a reputation for customer satisfaction, they have expert domestic plumbing knowledge and are very cost efficient. Our customers know that when we start a job, we will ensure that the job is finished to the highest standards.This means you can be totally assured and sleep soundly knowing that you will be completely satisfied with all of our completed work. All of our work comes under the plumbers Dun laoghaire guarantee. We are also covered fully by both public and professional liability insurance. At Plumber Dun Laoghaire we provide the following services. · External and underground pipes repaired and replaced. · Repairing and replacement to internal burst and leaking pipes. · Central heating system installation and repairs. · Unblocking of drains, sinks and toilets. We use C.C.T.V. inspection and plumbers snakes, drain rods and jet flushing. · Installing new baths, showers, sinks, taps and toilets and complete bathroom renovations. · Boilers. R.G.I. registered servicing, repair and installations. Plus more, even if it’s not listed our staff will be able to help you, just call us. We never charge for call outs and provide free professional no obligation quotes. We do not have hidden fees or charges. We will never charge for traveling time or parking fees. We quote a fair, very competitive price upfront. You will never get a nasty shock with us when the bill arrives. This open and fair approach is one of the reasons we have gained such a good reputation. Our vans are always fully stocked so as there is never a need to be “sourcing parts”. If you need a plumber call your local Dun laoghaire Plumbers today on 01-2844921.